Imagine a film night in your school hall featuring professional looking films made by your students and projected on to a giant screen. We’ll put on a show that will entertain and astonish your school community. Let Media Studies Roadshow take away the stress of having to prepare for another concert! MSR takes 100% control of the process from scripting to conducting a film night. Your staff can relax. The whole process can take place in as little time as two weeks. Our team will come to your school to write films with each class, shoot them, edit them with the students and then put on a film night. We can work with a single year level or a whole school. The film night will be a multimedia extravaganza featuring short films, green screen TV , animation and pixilation. The actual content will be customised to suit each school’s needs. For a flat rate of $39 (Incl GST) per student, MSR will conduct six 45 minute sessions with your students, put on a free film night at your school showcasing the films and give a DVD of the films to each family. There’s no costly theatre to hire. 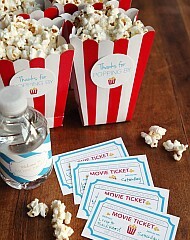 Alternatively, if you want to sell tickets, pop corn, ice creams and the DVDs, you could easily recover any costs. We are very flexible with payment terms and open to any ideas you may have. 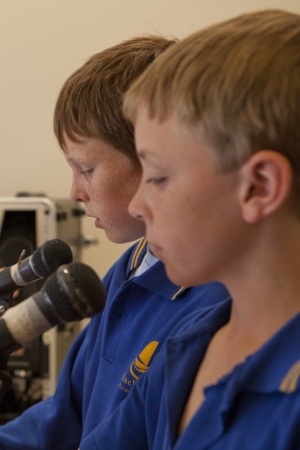 Since 1997 Media Studies Roadshow has been producing short films, TV shows and animation in Melbourne schools. We’ve worked in over 350 schools and put over 120,000 students through our programs. 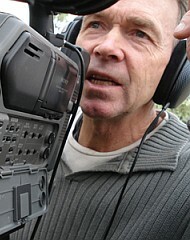 Michael is a teacher with over 35 years experience teaching film and television from prep to university. All of our methods are tried and tested. Our team all have Bachelor Degrees in film and TV. You’ll be amazed at what your students will produce with our help! Ring Michael now for a quick chat if you are at all curious. “Movie Night” will be a night to remember!